Always a pleasure to come across a garden bench like this with its handsome Shaker slat design. 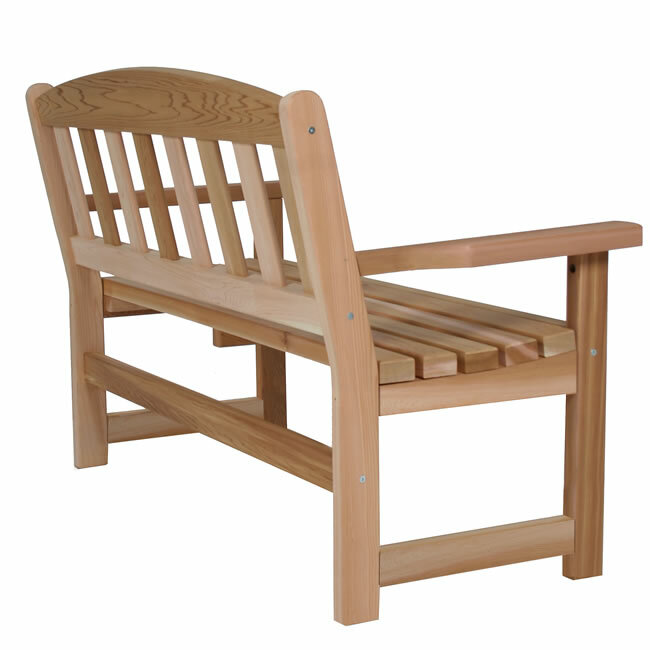 It's gently curved seat and eased back offers years of sitting enjoyment. In stock and ships in 1 to 2 business days after order. Delivery to most U.S. and Canadian addresses in 1 to 5 business days. 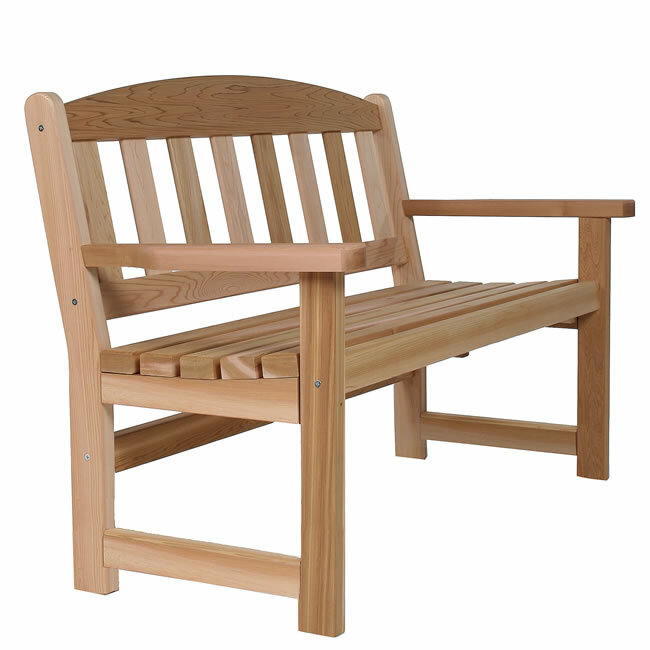 Seat Size: 48" x 8.5" x 18"
If you are shopping for lasting outdoor patio furniture made with quality exterior grade materials for your patio, deck or in your garden be sure to browse our entire selection of western red cedar patio furniture, java teak patio furniture and Chinese oak patio furniture. 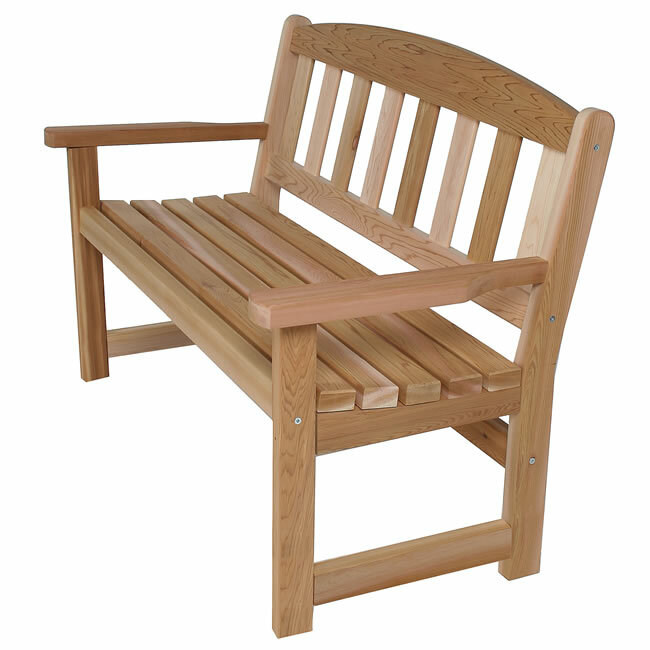 You will find patio and garden selections of cedar patio furniture featuring garden benches, swings, Adirondack chairs and outdoor teak picnic tables. All of our cedar products, like our wishing well, are made using clear grade Western Red Cedar. Our Teak Patio Table Sets made using environmentally friendly Java Plantation Indonesian Teak Wood. Summer Cedar is an industry leader for competitively priced exterior grade patio furniture!